Lehigh Defense .380 Auto Xtreme Penetrator Ammunition is the latest in their long line of premium personal defense and hunting rounds. Featuring a 100% solid copper construction and patent-pending CNC designed projectile. Xtreme Penetrators are among the best personal defense rounds on the market. This Lehigh ammo is a round that cycles incredibly well and gets rave reviews from all of our customers. 17" 23" 27" 21.5" 32" 27"
After watching several You Tube tests and reading several,reviews, decided to get some for my Ruger LCP Custom. Fed flawlessly. Now my carry ammo for LCP. My EDC is a 9MM, but in the summer months I carry a .380. After seeing the reviews regarding penetration and ballistics I wanted to see if this ammo would chamber in my Sig P238. After 40 rounds chambered with no flaws, I will now try 100 rounds and if that chambers with no issues I believe this will be my new .380 carry ammo. Ammo ran great and great penetration! Clark Armory has great prices and fast shipping. Also received a personnel email. Nice touch. Clark Armory goes the extra mile. Having watched many videos on .380 ammo tests , I wanted to try all of the various defense loads . I feel that three seem to be the best choices . These are Hornady Custom 90 grain XTP hollow point (not Critical Defense) ,Ruger ARX and Lehigh Xtreme Penetrator . My girlfriend and I both have Ruger LCP II pistols . All of these loads performed great , no problems of any kind . I trust any of these , with the Lehigh being my first choice based on gelatin tests for potential wound cavity and penetration . This was my first experience with Clark Armory and I am very pleased with the ordering , checkout and delivery process . I bought this for use in my wife's German PPK. It feeds well and the recoil is consistent with regular FMJ loads. I don't like HP ammo in this caliber and Lehigh Defense has solved our personal defense conundrum. Clark shipped very promptly, great service. I shoot a Glock 42 (.380). I used the Penetrator for testing. Performance was much better than expected. I use the "Defense" for carry purposes. In my opinion this round makes the .380 a more desirable carry round. The ammo shot as expected with no issues. The unique penetration channel was really impossible for me to verify, but it cycled through fine. What firearm(s) did you shoot it through? Did it perform better or worse than expected? How so? The ammo preformed as expected. How was our checkout process, delivery and customer service? The checkout process was simple and there was no problems with the order or delivery. I wanted a round with proven penetration for my Bodyquard 380. This a great round that has had no failures in the boxes I have practiced with. I carry it, and would highly recommend it. Feeds the the Ruger LCP just fine. Wouldn't hesitate to buy again. Fed reliably through my PPK/S. It’s very accurate with decent penetration in wetpack; one of my favorite rounds for my .380. Clark Armory is good to work with. Will definitely purchase more. Fed reliably in a Sig P238, seemed accurate. Wonderful round, velocity close to .45ACP and penetration equal to both 9mm and 45ACP. Accurate round that I am sure is affective. Makes a .380 very viable for senior shooters, where recoil of larger guns affect arthritic hands. My rounds were shot through a Sig P238 sports 12. No problems. Clark Armory was flawless and a pleasure to deal with. I will return as a customer. 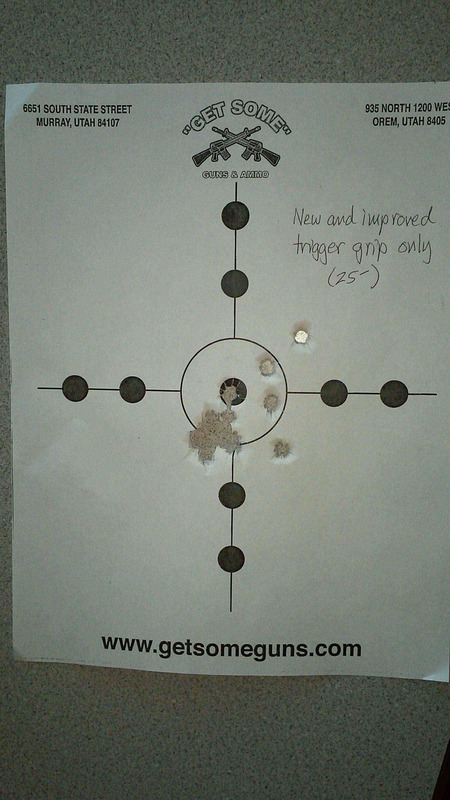 I shot a box through my P238 and had no problems at all. I surprised me how accurate this ammo was through P238 even at 25yds. Surpassed the Winchester white box by a long shot. I liked it and will purchase more. This is very high quality ammo. In my 2 Sig P238 pistols I had no FTL's, FTF's or FTE's. The accuracy was superb at my range of 30 ft. I will purchase more..
Matt B said: Good stuff! Rounds cycled great through both of our kimber micros....zero issues and proven penetration make it a winner! I'm trying another box. I'll let y'all know. I wanted a reliable round for my Ruger LCP with proven penetration between 12 and 18 inches, and the Lehigh XP fills the bill. This unique cartridge feeds like ball ammunition in the little sub-compact pistol and the wound channel through ballistic gel is devastating. NOT recommended for the S&W Bodyguard or Kahr P380 because of feed issues. Runs flawlessly in my Kimber Micro Carry, Sig Sauer P238 and Walther PPK/S. Accuracy equal to better than FMJs at 90 gr. from 5 to 7 yards so far. Very pleased and confident. Ballistics getting closer to a 9mm in a .380. Well done!!! This ammo ran fine in the SeeCamp 380 pistol no issues no jams. Very accurate ammo without any feed problems at all in my PPKS. Will buy from Clark Armory again. No drop ship or back order problems while waiting for your order with great commutation on Clark's end! Perfect! Love having these in my LCP. Gives the punch I want in an EDC.